I have been waiting to send this e mail because I have been searching for the right words to tell you how happy I am with the work you did on my eyebrows. Now I realize that there aren�t words that can describe my gratitude to you. You did more for me than you will ever know. When I came to you I thought that there would be nothing that you could do to correct the mess I had gotten myself into by going to another permanent make up �artist�. You spent many tedious hours working on me to undo the awful eyebrows I was left with and telling me that all would turn out well. There were times when I doubted you but in the end you were right. I can never thank you enough for giving me back my confidence and self esteem. What a miracle worker you are! I now have the natural looking eyebrows that in the past I only dreamed of. Laurie Ke is a superb permanent make-up artist . I can not imagine a better clinician for this job. I went from a hairless horror to a natural (much younger looking!) wonder, and I am so happy with my new eyebrows and eyeliner. Laurie took an exceptional amount of time to come up with the right color and shape. She cares much more about making women look their best than she does about making money. Her heart is golden, and she is such fun to be with. I am so happy that I took this step!!! and what have I been "doing" but no one has guessed my real secret. As a nurse I also appreciate the clinical professionalism and technique, and as a woman am just so thrilled with your incredible artist skill. The personalized service, complete color analysis, and attention to the smallest detail made this such an individualized and down right fun and pampering experience. I'm now considering doing my lips with AIA as I'm just so amazed at the outcome of my eyes. As an attorney, my days can be very long. 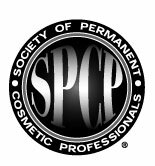 Not only is permanent make-up a time saver in the morning, there�s never a need to touch it up because of fading or smudging. Laurie is truly an artist, and she has an exquisite eye for color! had my eyebrows enhanced by Laurie and am very happy with the results. When I am able to,I will schedule more permanent cosmetic work to be done. If anyone has questions about the work, she explains it very well. Laurie, I can't thank you enough for doing this for me....you have no idea what it's done for me. I can wake up in the morning and face people. I don't have to run to the bathroom for an eye pencil.I take a shower and walk out of the bathroom, no standing and waiting for the mirror to "de-fog" to apply eye pencil. I think you'll be really happy with your work. It's just awesome and I LOVE it! I went to AIA ( Advanced Image Artistry, inc.) to get permanent eyeliner, and I LOVE IT! My eyes look bigger and brighter now�the color matches perfectly and it looks so natural! I would highly recommend Laurie to anyone who is particular about their appearance and wants a professional who does meticulous work. Laurie does FANTASTIC work, I�d recommend her to anyone!